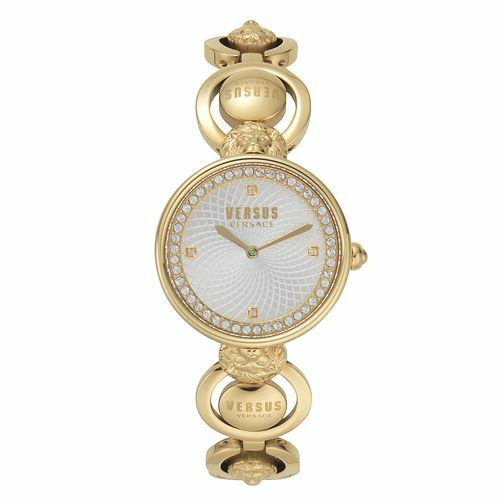 The Versus is a glamorous watch full of brand DNA. An IP gold case presents a 3D lion head sits at both the 12 and 6 positions, giving this watch a rich and unique look & feel. The silver shade dial is enriched with a precious guilloche and Swarovski crystals to enlight the inner ring. The bracelet with 3D lion head coins becomes this timepiece into a real jewelry piece.